2019 IMAGINE Auction and Gala! Browse thru the following list of highly anticipated Live Auction items and make your bidding plans ahead of time! Offering four 1-hour sessions with our own talented Music Director, Allison King. Allison has over 30 years of experience in teaching and performing and will share her performance skills and knowledge with you! She has worked as the Choir or Music Director for 3 previous UU congregations. She has a Master’s Degree in Vocal Performance from Portland State University and has sung with the Portland Opera Chorus, Portland Baroque Orchestra and choruses in California. She also taught voice and choir at Portland Community College. 2 nights- Friday and Friday in a lovely house that sleeps 6 adults and 2 kiddos comfortably RIGHT on the BEACH! Amenities include 7 miles of beach, hiking, crabbing, kayaking, lots of great restaurants and shops nearby. Donated by Richard and Lisa Powell. Valued at $360. Casa Solana is located on a hill on the South side of Sayulita, only a short 8-minute walk from the village plaza along a dirt road brimming with character. The house exudes a simple, European elegance with high ceilings, tasteful decor and 4 sets of French doors opening up to the courtyard patio, veranda and the palm trees and cactus in the garden. The fully-equipped kitchen includes such extras as blender, toaster, citrus juicer and coffee maker, and opens onto the large outdoor veranda where dinner can be served al fresca with views of Sayulita's hills and valleys. A barbeque is also provided so you can grill up some camarones (shrimp) or fresh fish caught by the local fisherman. A comfortable king-size bed occupies the 1 bedroom, and a second double bed is set up in the spacious living room for daytime lounging or as a second bed. Donated by Dean DeSantis. DeSantis Landscapes is a family-owned, nationally recognized landscaping company with offices in Salem and Portland. Their landscape projects range from commercial properties to large, private estates to intimate residential gardens. In all cases, DeSantis creates and maintains balanced environments of extraordinary beauty and functionality. They’re an award-winning company recognized for integrity, innovation and reliability. Since 1974, clients have entrusted them to carefully design, build and maintain their landscape investment. 20 hours of professional landscape services (one full day for two landscape professionals, portal to portal). Includes maintenance, installation or irrigation services. 3 Nights in Seaside, OR: Two 3 -night packages available! Located at the end of the historic Lewis & Clark trail, this luxury resort offers many amenities. Visit the Seaside Aquarium, view the Lewis & Clark statue at the well-known turnaround, stroll the Seaside Promenade with the Pacific Ocean at your feet. Enjoy a resort stay for up to 6 adults from October 5-8th. That's a full, relaxing weekend of luxury amenities and accommodations! Valued at $1500. Donated by Chuck Smith and Sheila Sullivan. Bring back the TV dinner in style with a lift-top cocktail table. With a handy spring-loaded mechanism, it raises the table top to you. Casters give you the option of added mobility. Constructed with rich birch veneers and hardwood solids. Always wanted to hear a particular sermon? Rev. Marcia will collaborate with the winner of this item and write a sermon on a topic of your choice. She can’t promise to have the same opinions about the topic that you would, but will preach on your subject on a mutually agreed upon date. Or offer her a title (double entrendres encouraged) and see what she comes up with! Dig your toes in the sand and throw yourself into the wind! You’ve arrived at Mariner Village, Ocean Shores, Washington. Golf, whale watching, bicycling, deep sea fishing, outdoor swimming pool, horseback riding, etc. 2 bedrooms/2 baths. Go to https://www.worldmarkbywyndham.com/resorts/mv/ for photos and complete list of amenities. Available October 12-15, 2018 only (Fri, Sat, Sun, check out Mon). 2 Nights in a Rockaway Beach Home! 2 nights for 2; 2 home cooked breakfasts included. Enjoy and relax with John and Sherien's hospitality at their Rockaway Beach home filled with memorabilia. choice of bedrooms- one queen or two single. Private guest bath includes shower and tub. Easy walk or short drive to town and the beach. Also nearby- a Western Mammoth Cedar- a must see! Donated by John and Sherien Jaeger. A deluxe 1400+ sq ft, beautiful, fully furnished and oceanfront end unit. 2 king beds/2 bath, sleeps 4 comfortably, 6 maximum. The view is stunning! The beach is easily accessible (there are steps) and it is great for walking! There are 9 steps to the unit’s front door. There is assigned covered parking for one car - an additional spot is available uncovered. One week for up to six (6) people in Glacier, Washington. Snowater is a 2-story townhouse (upstairs & downstairs) located in the foothills of the North Cascades on the Nooksack River at the entrance to Mount Baker National Forest. On-site are two indoor pools, a sauna, game room, and sports courts. The 2-bedroom townhouse condominium is completely furnished including a fully equipped kitchen, gas fireplace, dishwasher, washer/dryer, phones, Wi-Fi, and satellite cable TV. There is no cellular phone service. 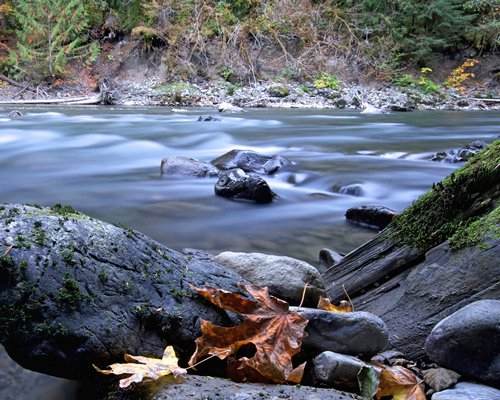 Nearby, enjoy hiking and white-water rafting. The area offers golf and shopping in the Bellingham area. Housekeeping fee paid by you: $125.80 plus tax. Security deposit required (which will be returned at the end of your stay if no damage). A Camp Sherman Retreat- 2 nights! Enjoy a private, quiet getaway bordering National Forest where you can hike and bike (and sometimes ski) right out the front door. The beautiful Metolius River(great fly fishing) and the camp Sherman store are about a mile away. You will find 3 bedrooms (2 rooms with Queen beds and 1 with a set of Twins), 2 baths and a well-equipped kitchen, dining room and living room with wood stove. At UUCWF we like to think that our love is global. It sure seems to be so! The Fassett family has spent the last year living in Gulu, Uganda and their girls, Clara and Ruby, have donated these beautiful original works of art to our Love Wins Gala/Auction! What an amazing contribution to this fund-raising effort! The Fassetts will be back in late August. Be sure to let them know how much you enjoyed seeing these paintings.